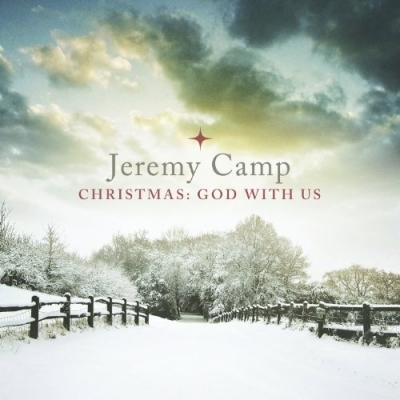 Christmas: God With Us is the first full length Christmas album from Jeremy Camp in his 10 year career, and comes with much anticipation. The album is filled with six classic Christmas carols, three seasonal Christmas songs and one original track, God With Us. The songs have all been given the Jeremy Camp treatment and are very much of the contemporary rock/pop style, though mainly acoustic. All the songs showcase Jeremy Camp's excellent vocal range and strength, with the familiar style and ability fans of Jeremy will love. Read More Christmas: God With Us is the first full length Christmas album from Jeremy Camp in his 10 year career, and comes with much anticipation. The classic carols retain a traditional feeling with Jeremy putting his own personal stamp on them and adding in some ad-libs of praise and worship. You can feel his passion and love for Jesus in these worship carols, which really bring focus to Jesus, and it would be great to have a whole album of just them. God With Us is the only original song on the album and is a simple worship track, which could be sung at any time of the year - but really highlights the reflective theme throughout this album. The three seasonal songs, Have Yourself A Merry Little Christmas, Let It Snow and the opening song Jingle Bell Rock, suit Camp's voice and are decent covers of the originals, though their fit on an album of mostly worship Christmas songs feels a little odd. This album feels a little like a mix tape of favourite Christmas songs, which could be the intention, as Camp says that he wanted to pick songs that he listened to growing up and make them his own. He has selected the Christmas carols that he and his family love to sing, and who can argue with that. Overall this is a good Christmas album and has a prayerful, reverent feel to it, giving us a great reflection and reminder that Christmas is the time to celebrate Jesus' birth for us.